Every year I make a birthday crown for our son Lloyd based on something he’s accomplished that year or something that he’s interested in. This year it’s movies! I gathered images from the golden age of film noir movies posters for their use of color and type treatments. I added the photo of the movie audience for the crown’s band because he enjoys 3D movies. I created the number 12 in Adobe Illustrator, based on old movie countdown numbers. 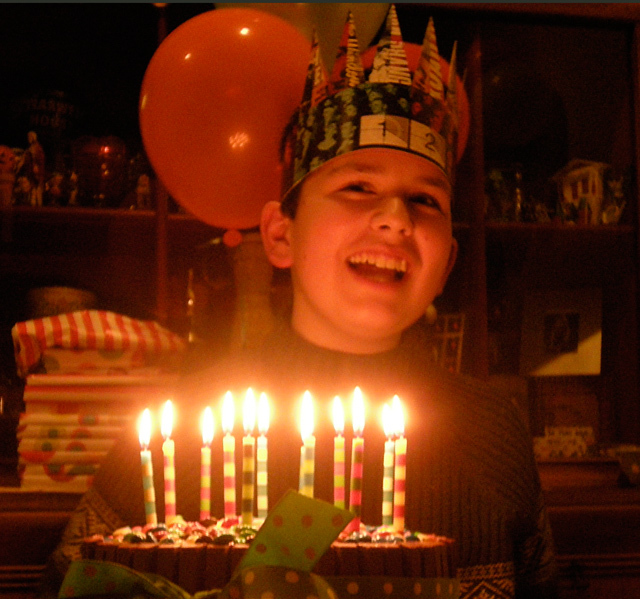 Here’s Lloyd in his birthday finery about to blow out the candles on the massive cake I wrote about yesterday. 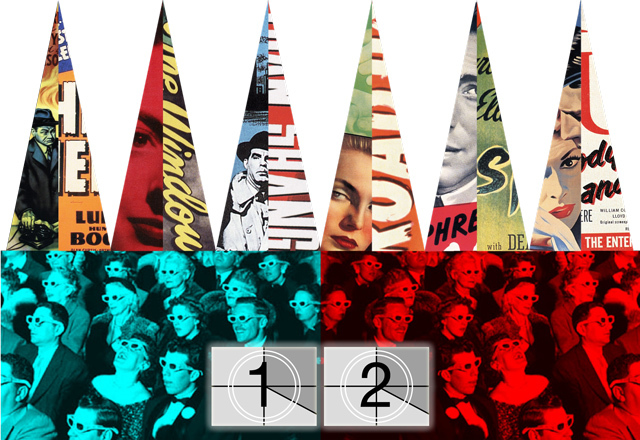 This entry was posted in Collage, Crafts, News and tagged 3D movie audience, birthday, birthday crown, collage, digital, film countdown numbers, film noir movie posters, hat, Hollywood, party, scan, Tina Garceau. illustration. Bookmark the permalink.